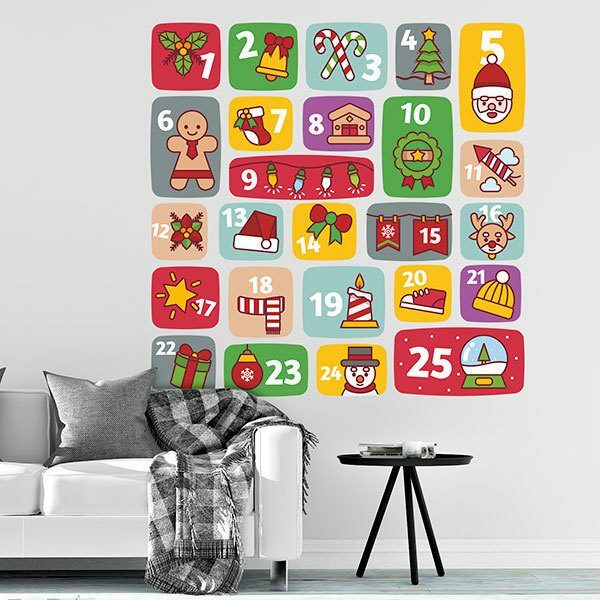 Wall sticker Kid's Advent Calendar. 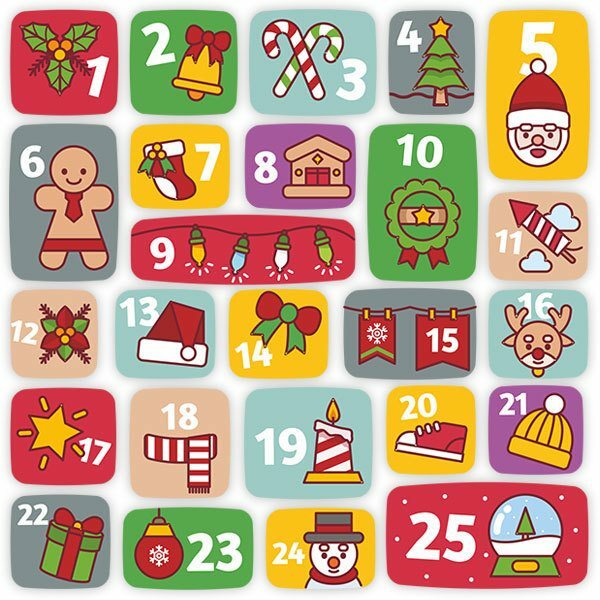 Fabulous calendar design, with drawings, from the countdown to the Christmas party. It is a symbol of the Advent season, from the 1st of December to the 25th. It is made so that children can count how much is missing for Christmas.